The thin skin of the eyelids is highly sensitive to environmental factors and aging.1-3 This can produce a tired and worn out appearance that make one look older. Fortunately, natural plant extracts have been identified that offer a unique advantage by boosting the formation of collagen and elastin, while supporting existing skin proteins. 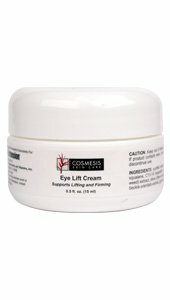 Cosmesis Eye Lift Cream provides extracts of Albizia julibrissin (Persian silk tree) and Siegesbeckia orientalis (Eastern St. Paul Wort) shown to help reduce the appearance of aging around the eyes, including drooping eyelids, and dark circles. Seaweed and olive oil extracts have also been added to provide remarkable moisturizing and nourishing properties to keep eyelid skin firm and supple. 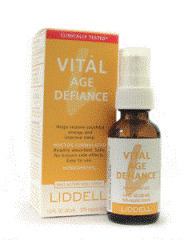 Directions: Place a small amount on ring finger and tap gently onto area surrounding the orbital bone.